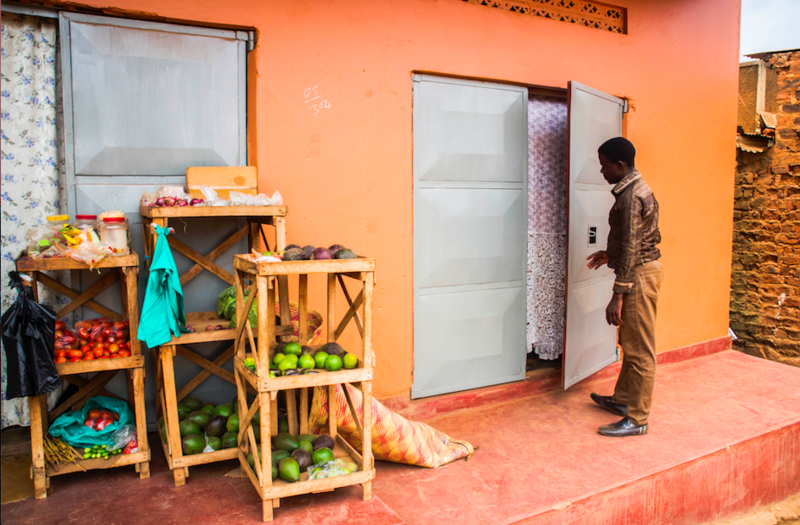 For 24-year-old Raed Isma Wandera, education has always been the key to a bright future, a life different from that he and his six siblings have known. 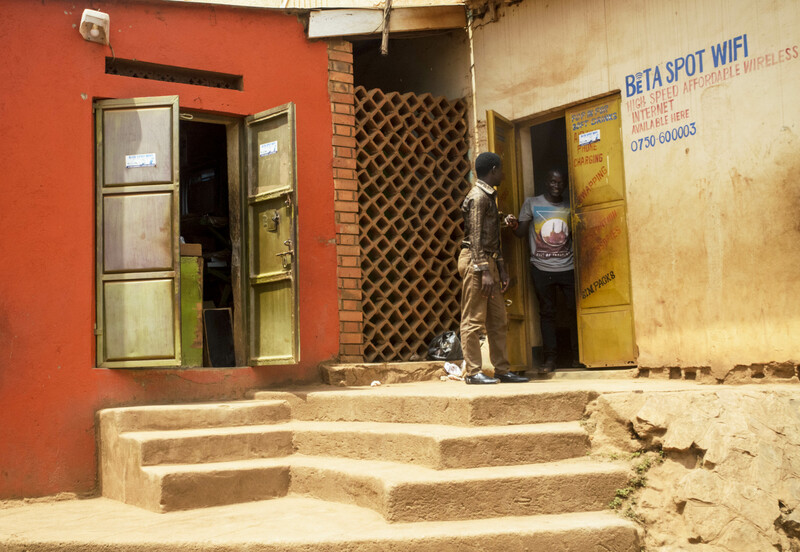 He came close to achieving his dream of having a well paid formal job when he enrolled to Kampala International University to pursue a bachelor’s degree in Information Technology, with the financial support of his sister. As fate would have it, his sister passed on only one year into his three-year course. With his parents both retired and no source of income, the future looked grim for him. Due to his academic excellence, KIU allowed for him to study without paying the tuition on condition that he would pay it all once he had graduated, at an interest rate of 25%. 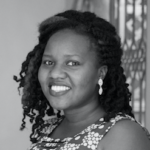 Born in Nawangali village, Lang, Bugiri District, Wandera’s current home is a one-roomed house at the heart of Kawala slum in Kampala. With the knowledge that studying hard and having excellent grades was his only escape from poverty, he threw all he had into education. He stayed up at night to read, held longer discussions and submitted his course work in time. As a result of his relentless hardwork, he emerged the best out of his class and was awarded a first class degree. 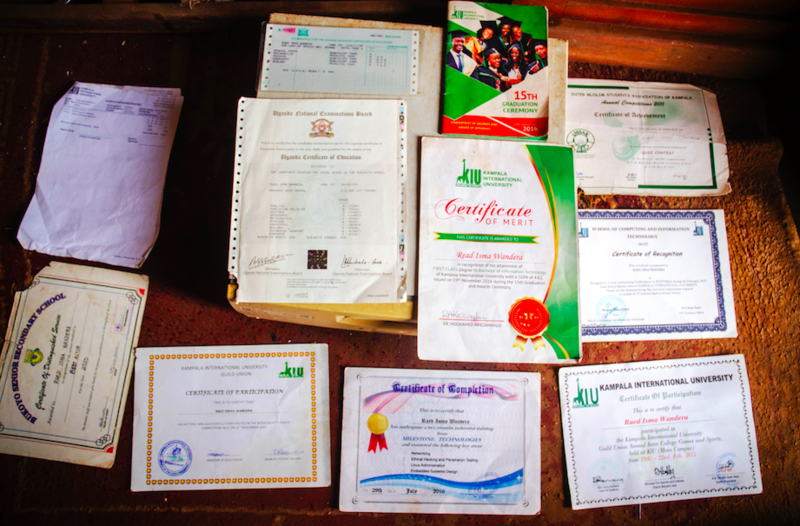 Wandera proudly displays all his academic certificates. “When the day for graduating came, I did not attend the ceremony because I hadn’t paid graduation fees,” he says with a hint of sadness in his voice. He latched on to the promise that if he excelled he would be retained as a teaching assistant at the university. “I held onto every word that my lecturers said,” He said. “Those days I was getting some little money as a teacher in a small secondary school in Kansanga. I abandoned my small teaching Job to concentrate on being the best in my class. My eyes were on the prize. To be the best in class then I can lecture as I get a real job.” Says Raed. Raed trying to access wifi at hotspot centre near his home. With the help of his cousins, he started to pay the university what he owed. Once he paid the full amount, with interest, he was able to get his transcript, however, he found that his name had been misspelt. It had “Read” instead of Raed. “I couldn’t get a job with that transcript wherever I would go, they would tell me that I had forged my papers.” He says with a hint of anger as he wiped a tear from his right eye in a bid to hide it from me. Things started to look up when his stepbrother who owns a networking company Milestone Technologies, gave him a job as a marketer, paying him commission for every sale he made. He did this for a while as he also uploaded Internet apps such as WhatsApp, Facebook on people’s phones for 1000 Uganda shillings. To make his ends meet, he helps university students with their course work. 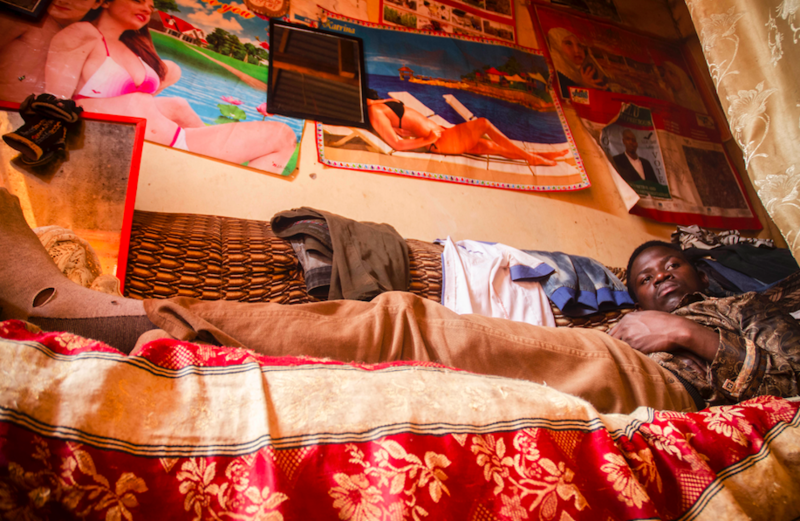 Each student pays 3000 Uganda shillings for work done which holds him over as he waits for a miracle of a job to happen. He has also taken on learning different languages, starting with the local languages; he has learned 6 languages so far. 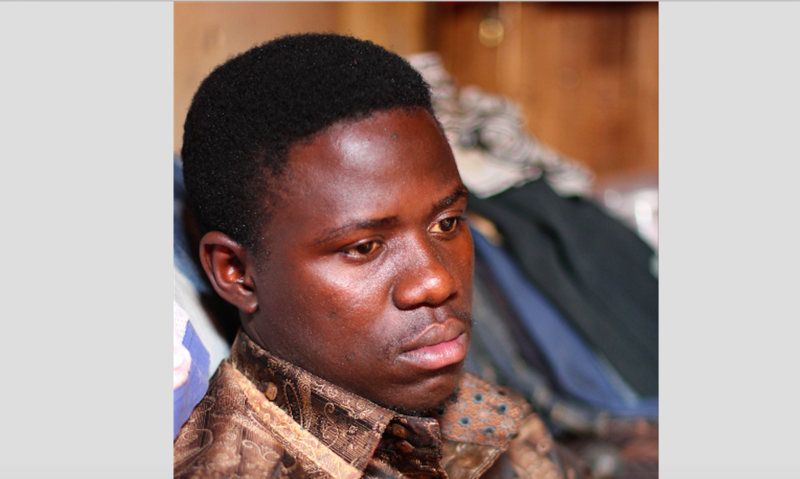 “I would have wanted to learn more foreign languages but I cannot afford a tutor.” He says. In his free time, Wandera coaches students at YMCA and Makerere University in networking, configuration, website design and hosting, embedded systems and design. When asked if he regrets pursuing Information Technology at University, he politely says he does not, but the challenge of finding a formal job is what haunts him. Raed Wandera’s story is the story of the 90% Ugandans above 25 years who are unemployed, a number that will definitely increase if nothing is done about the current levels of graduate unemployment. Youth are one of the greatest resources this country has, yet our government continues to lose billions of shillings to corruption and inefficiency. These are funds that could have been appropriately used to create opportunities for young people, while simultaneously promoting economic growth of the country. What if there was deliberateness in access to credit, accessible internship opportunities for brilliant people like Raed? Raed is trapped in the debris of a corrupt society and a poor theoretical education system. Living in the Age of Absent Husbands: Real Life Counts of Family Neglect in Luweero District. “I did not Know I was Pregnant till Four Months” One Teenager’s Story Reveals the Price Ugandan Girls Pay in the Absence Sexuality Education.